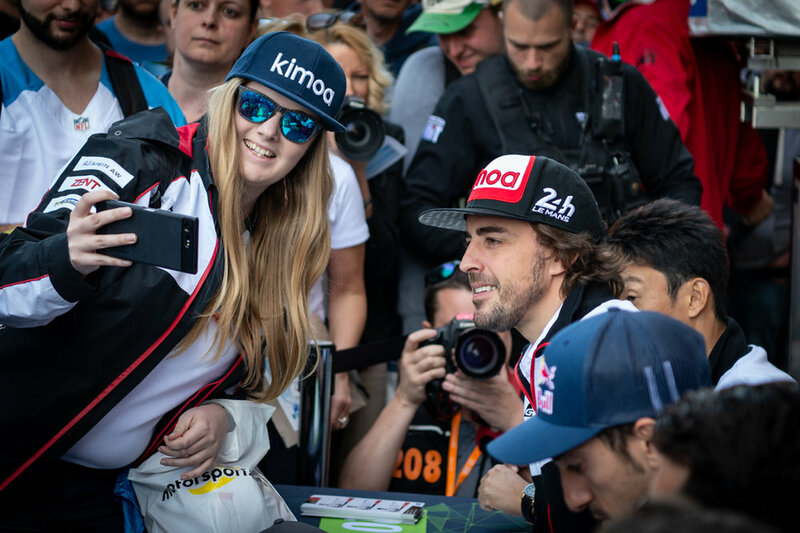 Fernando Alonso has won his first race for Toyota Gazoo Racing, along with Sebastian Buemi and Kazuki Nakajima. After six hours of racing they hold a small margin of 1.4 seconds over the Toyota no.7. 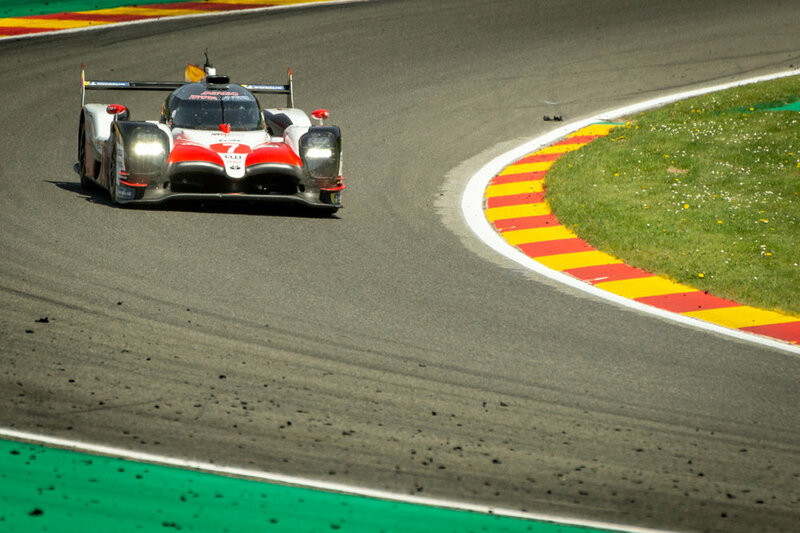 Both cars have driven 163 laps during the 6 hours on the circuit of Spa. 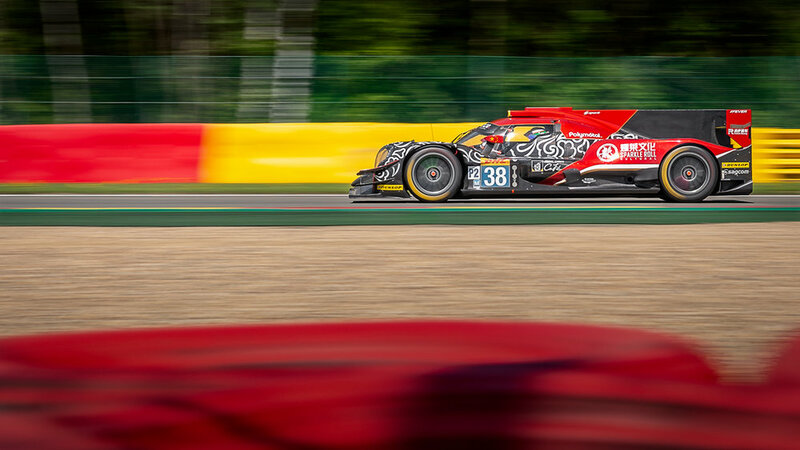 Third, Neel Jani, Bruno Senna and André Lotterer finish in their Rebellion Racing no.1 as the first non-hybrid car two rounds behind the Toyotas. Mike Conway had driven the Toyota no.7 to first place during qualifying, but due to an administrative error concerning a petrol flowmeter, Mike Conway, Kamui Kobayashi and Jose Maria Lopez were disqualified. The third place of Rebellion Racing no.1 will be canceled later in the evening from the ranking because the bottom plate of their car did not seem to be thick enough. The sister car no.3 thereby inherits the third place. The LMP2 victory goes to car no.26, G-Drive Oreca, driven by Jean-Eric Vergne, Roman Rusinov and Andrea Pizzitola. The second car, DC Racing ORECA no.38, crosses 21.7 seconds later, followed by the Signatech Alpine no.36. Ford no.66, with riders Stefan Mücke, Olivier Pla and Billy Johnson gained victory in the LMGTE Pro class. In the second place, the Porsche no.92 ends almost 14 seconds later. The Ferrari No.71 by Davide Rigon and Sam Bird, is third. The battle in LMGTE Am was fought to the last meters. The Aston Martin no.98 wins with 0.2 seconds ahead of the TF Sport Aston Martin no.90, Clearwater's Ferrari is third. At 13h31 the start signal is given and we left for the six-hour race. Toyota no.7 will leave from the pit lane (an administrative error was the cause for stripping the pole position). The race is just one and a half minutes old and the safety car has to go out. The Porsche of Gulf Racing no.86 has gone off at Les Combes. Toyota no.7 has started the chase and Mike Conway drives fast lap times in order to gain time. In the LMP2-class, Giedo van der Garde (Racing Team Netherlands no.29) took over the lead and drove the fastest lap of 2m05. Ticknell (Ford GT no.67) drives the fastest lap in LMGTE Pro but joy won’t last for long. Just before the first hour Toyota no.7 is already in sixth place, with a delay of five seconds on the ByKolles no.4. After the first hour there is yet another safety car procedure. Ticknell (Ford GT no.67), who had driven the fastest lap a few minutes ago, has ran into the tires at Raidillon (same place as Fittipaldi). However, he gets out of the car uninjured. One hour and thirty minutes later (from the start), Toyota no.7 is unlapping itself from the Toyota no.8. The leader in LMP2, Racing Team Nederland no.29, should have different problems throughout the race. In the meantime, G-Drive ORECA no.26 has taken over the first place of DC Racing ORECA no.37. In the LMGTE Pro class, Porsche GT Team no.91 jumps on the Ford GT no.66. Porsche no.91 Lietz and Ford GT no.66 Mücke are playing in the rankings. After two hours Toyota no.8 leads with 21 seconds on both Rebillions Racing no.1 and no.3. With the LMP2s, the G-Drive ORECA is stil ahead of the ORECA no.37 and the Signatech no.36. Porsche GT Team no.91 leads in LMGTE Pro for the Ford GT no.66 followed by the Porsche GT Team no.92. 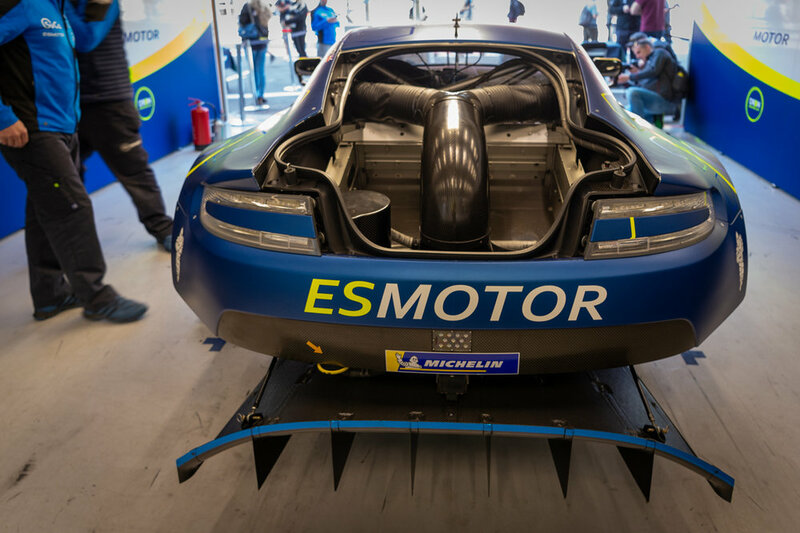 In the LMGTE Am-class, the Aston Martin TF Sport no.90 leads 12 seconds ahead of the Aston Martin AMR no.98 and the Spirit of Race Ferrari no.54. Toyota no.7 passes both Rebellion no.3 and no.1 and takes second place. The gap of the no.8 is 50s. In LMGTE Pro Ferrari no.51 and the Porsche GT Team no.92 switch positions almost every round. During the fifth hour, the positions in all classes are more or less maintained. In LMP1 Toyota leads no.8 with 58 seconds on the no.7 which in turn is followed by the Rebellion no.3. In LMP2 the G-Drive no.26 is still the leader with a generous margin of 74 seconds, second is Signatech Alpine no.36 and DC Racing ORECA no.37 third. 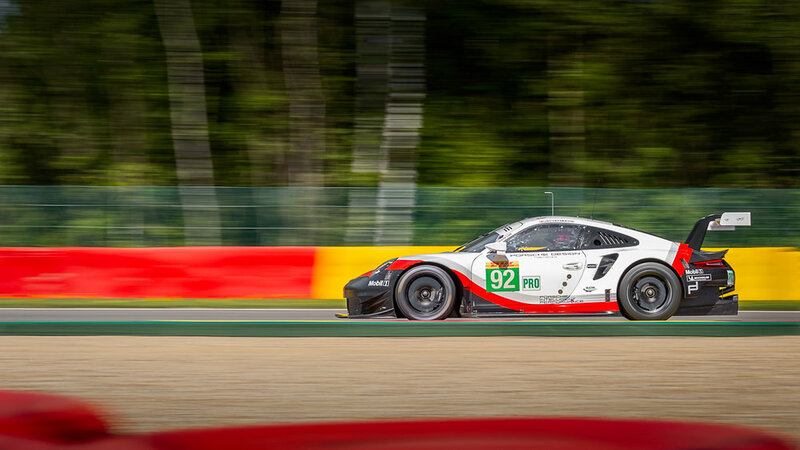 Porsche no.91 still leads in LMGTE Pro, for the Ford GT no.66 and the second Porsche no.92. 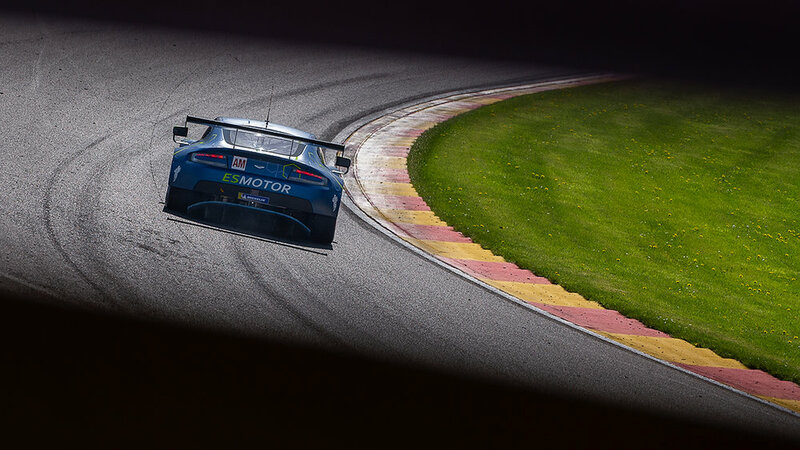 In the LMGTE Am-class, the Aston Martin TF Sport no.90 leads the Aston Martin AMR no.98 and the Porsche no.77. With another half hour to go, Toyota no.7 has opened the hunt on the other Toyota and has approached it to 4.4 seconds. A round later the difference has even become smaller; 1.1s.After a last pit stop, Alonso (Toyota no.8) leads Conway (Toyota no.7) with 2.2 seconds. Rebellion no.1 A. Lotterer drives in third position. In the LMGTE Am-class, things are going fast; both Aston Martin cars (no.98 and no.90) are within a second. 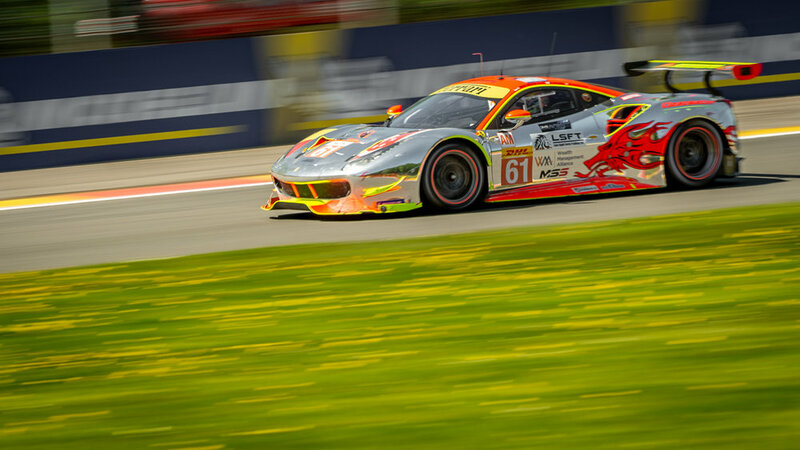 In the final minutes Lietz Porsche no.91 loses third place, in LMGTE Pro, to Rigon in the Ferrari no.71.